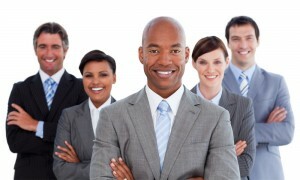 At BlueSky Personnel Solutions, we espouse a “best in league” approach to business. We offer recruitment, assessment, Human Resource administration and support for temporary, contract and permanent placements. Our area of focus is office, administrative and managerial workplace environments. We provide assistance on a wide range of roles, from entry-level to executive management. 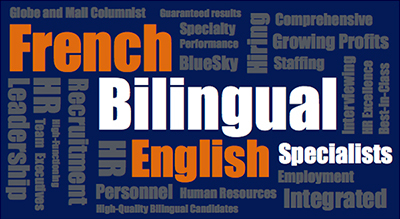 We also offer a unique specialization in bilingual/French placements. BlueSky Personnel Solutions is also a leading provider of bilingual/French staff. We’re known for this speciality service. We’re connected to some of the most talented bilingual staff in the marketplace. As the HR/hiring manager, you do not need to speak French to fill these positions — we do all the work for you, from testing verbal and written communication skills to assessing vocabulary, knowledge of grammar, syntax, etc. — all to ensure you receive highly-skilled candidates who can conduct articulate business conversations in French. BlueSky Personnel Solutions offers cross-Canada connections through the Staffing Edge Network – we have a presence in every major metropolitan center across Canada.